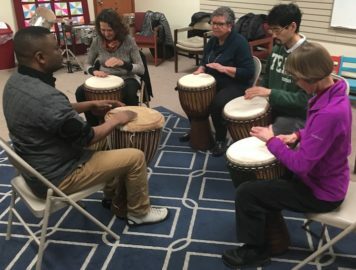 This summer we are offering 2 sections of African Drumming Circle: one for the general community, and one just for teens. 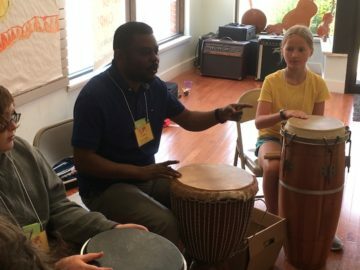 Our African music specialist, Jean René Balekita, will teach drumming repertoire from central and Western Africa, giving instruction is synchronized interlocking drum patterns and djembe drumming techniques. Thanks to the Community Foundation of East Central Illinois, for funding to purchase our beautiful djembes! Dates February 21 to May 16, 2019. Cost Spring: $150 for 12 weeks. May be prorated for late registrants.